STYLED BY JANET: Hula Hoops! May I say a thing or two about Chanel? So we all know that Karl is a genius (I really don't know many other who can handle the pressure of being the creative director at such a prestigious fashion house on top of the other 20+ jobs he takes on). And often, like most girls (and boys), I drool over his creation for the upcoming season. But this Hula Hoop bag...I really don't get. I mean it's has great impact on the runway, but it actually made it to the production and is available for sale! 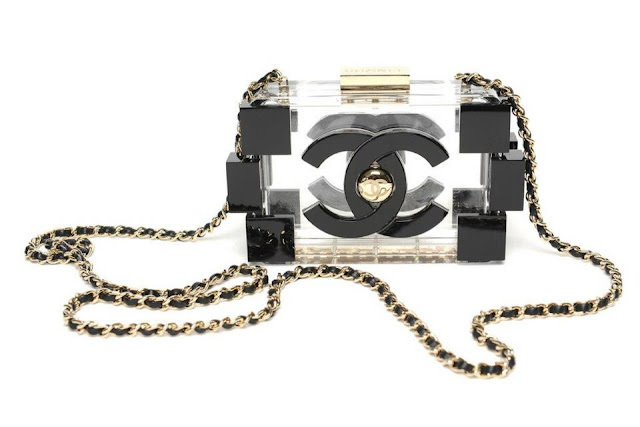 I'm sure some Chanel devote will purchase it out of collectible purposes, but seriously?!? How? When? Why??? On another note, I'm totally in love with the Lego bag from the same collection. It's cute, it's iconic and it can be used day/night (let's just hope the price is not outrageous!). Ok, that's all I had to say.